Which Peak Are You Aiming For? How Can Ridgeback Capital Management Help You Get There? 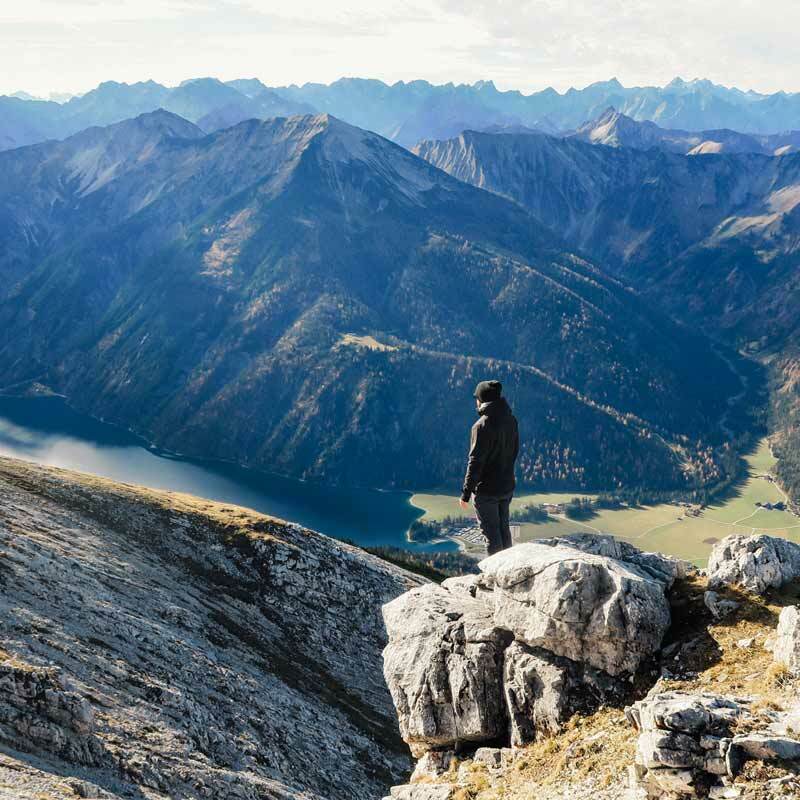 The mountains are a source of inspiration at Ridgeback Capital Management - a great parallel to the financial planning journey. Mountain climbing, like investing and planning for retirement, can be unpredictable, but offer great rewards for those who reach the summit. 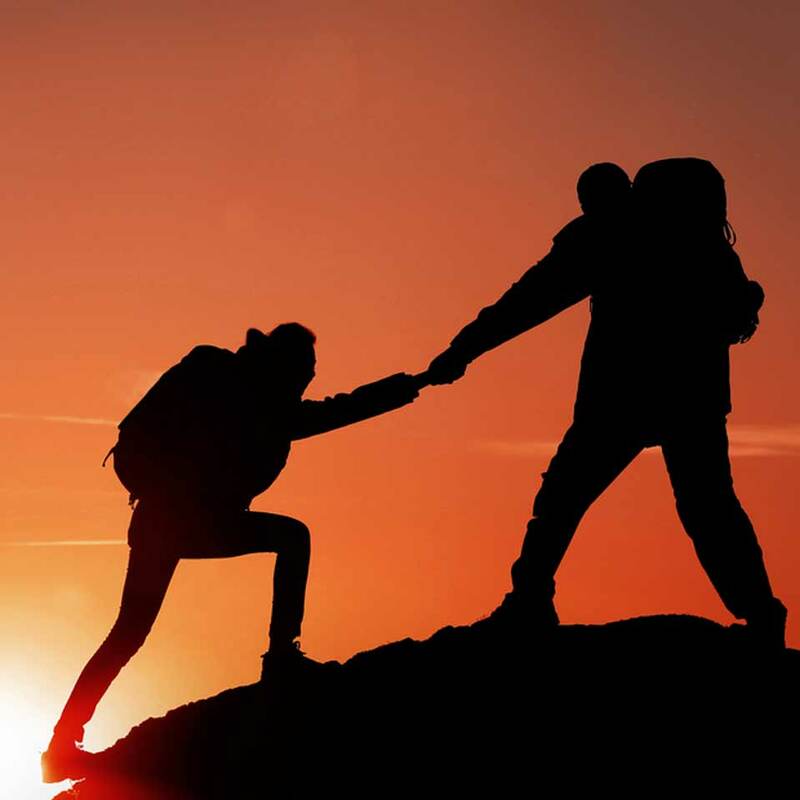 Achieving your own goals is easier with a trusted, knowledgeable guide who has helped others along the journey and knows how to plan for the obstacles along the way. We advise you in planning your future so you can spend less time worrying and more time doing what you love. By working with our team, you'll develop a confidence about your personal finances and have an accountability partner to keep you on track. As a CPA* and financial planner, we can offer both financial planning and tax expertise to thereby serve as a more comprehensive guide. Ridgeback Capital Management offers you a free consultation, where we will hear about your life goals, and explore a supportive partnership. These conversations can help ease the worry about potentially outliving your money. In addition, you will likely experience a sense of relief – and accomplishment --when you can view a simplified snapshot of your consolidated wealth scenario summarized on one page. *Investment Advisory Services offered through Ridgeback Capital Management. Tax and Accounting Services offered through Michael C. Kuznicki, CPA. Worried about making it to your financial destination without falling off a cliff? When you work with Ridgeback Capital Management, you can expect us to focus on more than just the numbers. As comprehensive financial planners, we take an integrated approach to your finances and examine all areas of your financial life and how they work together. We help you organize your financial life to better track goals that will match your life dreams. This includes "big-picture" items such as investments, insurance, taxes, etc., but also the "everyday" items such as your household budget and cash flow. Much like a trainer prepping you for a mountain climbing expedition, we will help you stay accountable to the goals you have outlined. We'll work with you to prioritize your goals, show you the steps you need to take, and regularly review your progress towards achieving them. Our advice and recommendations are always brought to you in the most objective manner, and we are available to consult with you at key moments of decision-making. We'll also provide you with all of the information you need to help you avoid making emotionally driven decisions. As the saying goes, "Life is what happens when you're making plans." A plan is integral to have, but it only works if you treat it as a living document and keep it up to date as life changes. We work with you to anticipate your life transitions and to be financially prepared for them ahead of time. When providing advice and recommendations, we work to ensure that our clients thoroughly understand each decision, including the risks associated with each choice. We'll provide the necessary resources to help facilitate the decision-making process, and explore the specific knowledge that will be needed to succeed. At Ridgeback Capital Management, we don’t just work for you, we work with you. We help clarify your perspective and personal biases about money that may impact and guide decisions along the way. For instance, are you in a hurry to get to the peak at any risk, or do you prefer a more leisurely pace to enjoy side trips along the way? We will work collaboratively with you, and on your behalf, to achieve your goals. 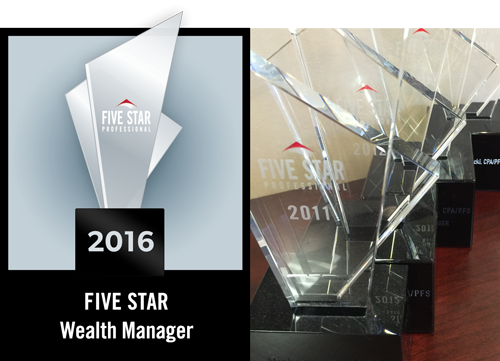 Less than 1% of wealth managers in the Houston area have been designated Five Star Wealth Managers for five years in a row. This designation is earned by outstanding client service and reputation within the industry, and our five-star service is delivered with the utmost integrity and professionalism. Learn more. We have provided comprehensive financial planning and wealth management since 1999. As an Independent Registered Investment Advisor, our success depends upon maintaining excellent relationships with our clients over the long-term. These relationships are built on consistent performance and unwavering trust, the pillars of our service. We create real value for our clients by bringing organization to all areas of their financial life. We do this through innovative financial planning strategies, customizable solutions, and a proactive, objective approach to each client relationship. Bi-annual meetings, quarterly letters, and on-going phone calls and emails allow our clients to confidently enjoy life knowing the details of their financial life are being well managed. Will I have to reduce my standard of living at retirement to ensure my money tracks with my life expectancy? How long will I have to work to afford retirement? What savings plan rate of return do I need to feel peace of mind about continuing my standard of living into my latter years? Who can help me to feel in control yet make smarter financial choices? Do I need an advisor help me find answers, avoid mistakes, and simplify decisions? You consult a financial advisor because you are looking for help, for a partner to be as invested in your success as you are. You want to make sure you are doing the right things, and making the right choices for you and your family. You want the simplicity, freedom and confidence that comes with having your financial assets and plan under the watchful eye of a trusted advisor. At Ridgeback Capital Management, we hope you will consider us part of your extended family as we share in your life’s challenges and triumphs. Our approach favors collaboration, so communication isn’t reserved for review meetings. We want to hear from you as often as needed, but especially when you are going through transitions or changes that prompt questions or feelings of uneasiness. Planning for your financial future, including retirement, can feel overwhelming, but it doesn't have to be. Avoid the anxiety of navigating these critical decisions alone. Let's journey together! Do you work in your clients best interests? Yes, we follow the fiduciary standard to always work on behalf of each client. We strive to offer objective advice and solutions. We discuss all fees in advance and if a conflict of interest should arise, we will disclose it to you immediately. Our clients pay us fees for comprehensive financial planning, as well as asset management. Read our Form ADV. How often do you meet with your clients? At least once every six months. We also provide performance reports every six months, and client letters quarterly. Of course, we are here for our clients as often as they need us through e-mail or phone conversations to answer questions or resolve issues as they come up. What is your investment philosophy/how do you invest money for clients? Our methodology is significantly different from what is generally offered. By taking a macroeconomic approach and studying the rate of return on everything you do – from personal savings and investments to retirement accounts, insurance and real estate – Ridgeback Capital Management strives to assure your whole financial strategy is coordinated and working at peak financial efficiency. We don’t believe in timing the markets. We favor low cost investments, diversification, and opportunistic rebalancing. Traditional strategies teach us to accumulate a lump sum, invest it and live off the interest earnings. Our parents told us to never touch the principal. Depending upon “interest only” causes income to be subject to changes in the interest rate environment. A more powerful strategy allows for spending both principal and interest and facilitates a more abundant life. What does a financial plan include? One of the most important components of a successful advisor-client relationship is finding an advisor who truly understands who you are and what is important to you. Our unique discovery process allows us to create a custom financial plan based entirely on your individual needs, goals and current lifestyle. This process is designed to uncover what is most important to you, both financially and personally. We analyze all major aspects of your life, including lifestyle, financial needs, timelines, income and liquidity needs, and willingness to take risks. Certifications: Certified Public Accountant in Texas. Texas Society of Certified Public Accountants, Houston Chapter. 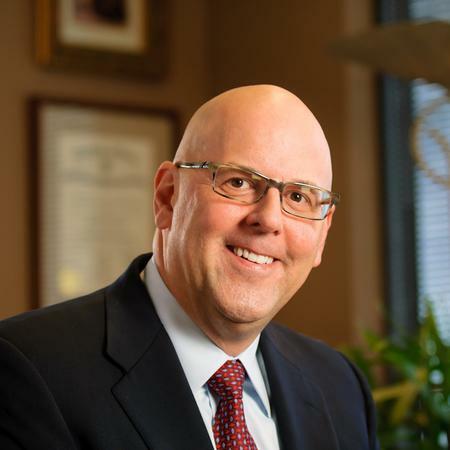 The AICPA awarded him the credential of Personal Financial Specialist (PFS) which is the financial planning specialty accreditation held exclusively by CPAs who are members of the AICPA. Family: Michael and his wife, Kathleen, enjoy gardening, photography, traveling/camping, and community volunteer work. They have three adult daughters, Jennifer, Lee and Lauren and several grandchildren. Community: In support of the mentoring mission of Big Brothers Big Sisters of Greater Houston, Michael is a former big brother and former two-term member of its Board. He is a Session member at St. Luke’s Presbyterian Church where he chairs the Financial Committee, and also serves on the Board of The Retirement Community. Lois Dzik joined Mandalay Financial, LLC in April 2000 which was renamed to Ridgeback Capital Management in 2011. Lois is responsible for managing operational and administrative functions for the firm. She is also responsible for executing trades for client accounts. She provides personal and prompt attention to all clients concerns. 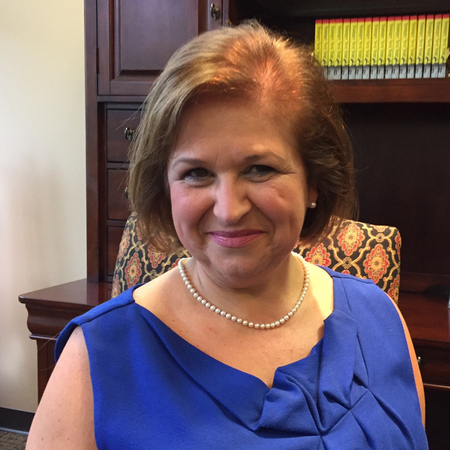 Background: After receiving her BS in Marketing from Indiana University of Pennsylvania in 1979, Lois moved to Houston to work for The Westcap Corporation. During her tenure at Westcap, she traded fixed and variable rate mortgage-backed securities. Lois has participated actively in her community as a coordinator for fund raising activities for St Vincent de Paul Church and School. She is also an active Jazzercise member. Lois and her husband, Bob enjoy entertaining, music and traveling. They have two adult children. 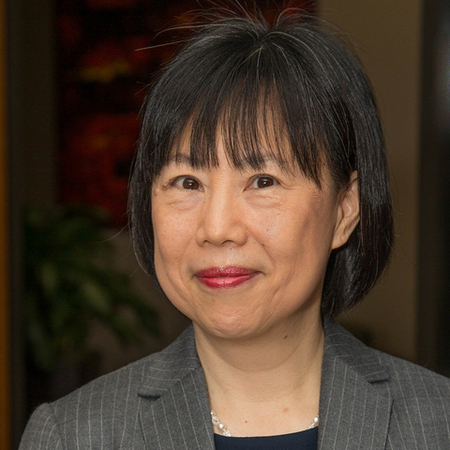 Yvonne Chen joined Ridgeback Capital Management in January 2016, bringing over 10 years of professional expertise in accounting to provide accounting, tax, and organization skills to Ridgeback and its clients. Yvonne earned a Master’s Degree in Information Technology from the University of North Texas in 1986. She later completed accounting and business core courses at the University of Houston in 2005. Yvonne gained extensive business and finance experiences from their family business and her tenure at the Southwestern National Bank. In 2006, Yvonne received her CPA license from the Texas State Board of Public Accountancy. She has been an independent financial statements auditor for 10 years. In her leisure time, Yvonne enjoys baking, singing and aerobic. Yvonne has been married to Sean Hou, a banking and hotel management entrepreneur for over 20 years, and together they enjoy skiing and going to the movies. 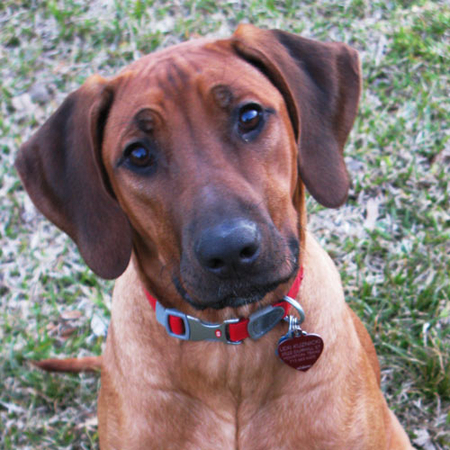 Meet Lexie, one of Ridgeback’s most fetching staff members who works (ca)nine-to-five behind the scenes being paws-itively energetic and supportive in any way. As one of the inspirations behind the firm’s name, she enjoys being part of our trademark and knows that pursuing peak financial performance is something to wag about. Our mission is to connect in a meaningful way with our clients by understanding their goals and desires and providing sound, comprehensive strategies to help them achieve peak performance from their wealth. Fill out the form below and we'll be in touch by the following business day. We'll reach out to schedule a meeting to get acquainted, so we can get to know you and discuss how we might be able to help you. Investment Advisory Services offered through Ridgeback Capital Management. Tax and Accounting Services offered through Michael C. Kuznicki, CPA.